I have watched a few Animes over the duration of a couple of years. I have watched Clannad, a beautiful comedy drama that make me cry many times over the course of two seasons. And I have watched Steins;Gate a science fiction anime which haunted me for days with its creepy “time travel gone wrong” images. But I have never watched an anime like Mawaru Penguindrum which was confusing yet engrossing with each passing episode, although after a period of time. 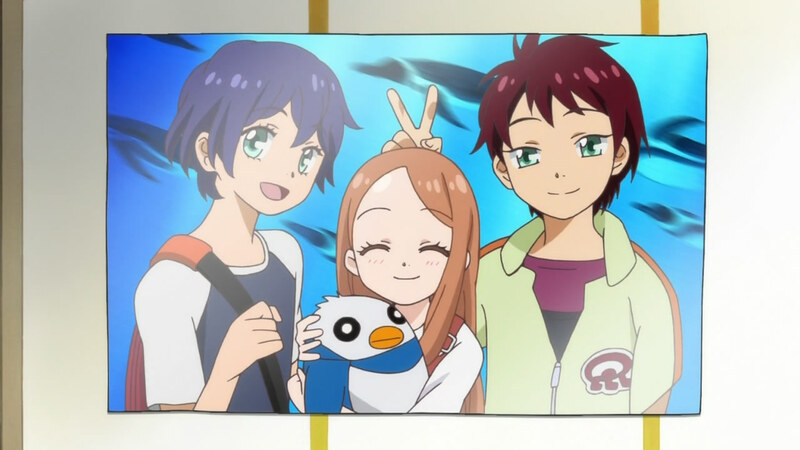 Mawaru Penguindrum is a story of three main characters: brothers Shouma and Kanba and their sister, Himari. The girl Himari has a terminal illness that causes her death just as the series begins. But a magical penguin spirit revives her from death on a condition that the brothers must find a secret stuff called, “Penguindrum” which would give her sister’s life for forever. What follows is a strange tale of complex story, subtle humor and dark pasts of the characters involved. What makes this anime unlike any other is the extensive use of Symbolism. Most of the flashbacks and even the climax are mere representations. This makes the series hard to understand since its difficult to decipher whats real and what’s not. But that is also what makes the series worth the watch. Since it relies on viewers to decipher the hidden meanings that it bestow. One more contrasting thing about the series is its weird mix of childish humor with mature themes. The significance of the sexuality theme is once again left for viewers to decode and the one thing which have left me in awe. Coming to music, there are a fair number of different compositions spread across the series. Two different opening theme songs, and nine ending songs. It also has three insert songs (the songs played in the middle). And all of the soundtrack are excellent, with my favorite being, “The Children of Fruit and Destiny” which I think is the crux of the series. Music amply complements the comedic nature of about first 12 episodes and the sudden pace of the tone and speed of the second half of the season. You need to have watched a fair amount of anime to get used to the tone of Mawaru Penguindrum and to truly appreciate the genius behind it. This series is must watch for those who like to watch something different and not something clichés and formulated and its for those who like to figure things out rather than being spoon fed. If you ever decide to watch Mawaru Penguindrum then one thing have to be kept in mind that the first half may deceive you. And you should hold on until the real plot starts to kick in. But be warned that when it comes it may catch you unguarded, while you frantically search for the answers, buried deep inside the minds of the characters. I for one will need to watch the series again, cause I myself am not sure what actually happened with Himari and their brothers and how to interpret the climax. After all, the Penguindrum is not an easy thing to find!